It’s April, but this is not an April Fool’s joke because we have been eyeing this particular blog for quite sometime as one of the possible featured blogs for Sarawak Bloggers. House of Annie is one of the most updated and focused blogs available around. Not only that, the blog also tells you about various methods to cook dishes, and how you’d expect from every cooking. The blog portrays a simple layout, with nothing fancy at the sidebars and header, hence making it load fast enough on almost every connection. For those of you interested in knowing a variety of food fusion, then this is the blog to visit. The photos of each dish are also carefully taken to ensure you’d salivate to the maximum when checking out the blog. So what do you get in the House of Annie? Apart from recipes, you can expect some detailed explanation on what you should expect from the dish, and how both Annie and Nate modifies their dish to make it even better, or not (as some trials do fail). You also get to read a bit about their personal live (their kids, family, occasions), although those are kept to the minimal. To be honest, food blogging is not something every blogger can pull off, and House of Annie has somewhat managed to make their food blog go beyond the ordinary, making it not only different from other food blogs, but also a joy to read indeed. 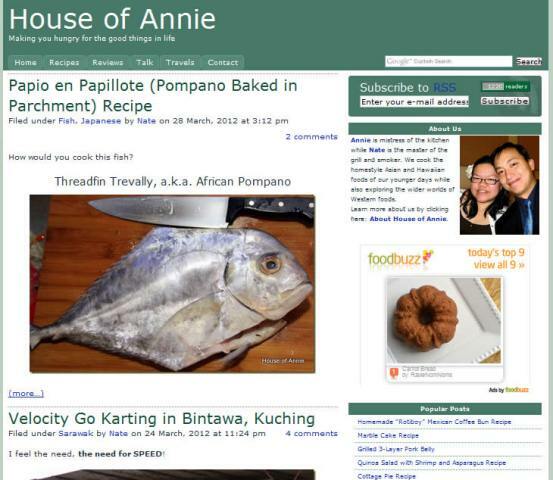 With that said, congratulations to House of Annie for being out featured blog of April 2012! 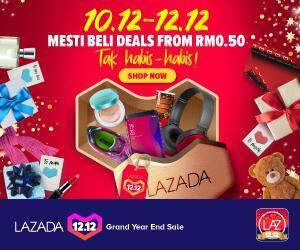 We are so blessed to be living here in Sarawak, and we want to show the world a little of what goes on in our lives here. We also want to focus on not just being good looking or informative but, more importantly, helpful and USEFUL so that you’ll keep coming back for more. So please do come and visit our blog, leave a comment, and share our posts with your friends.